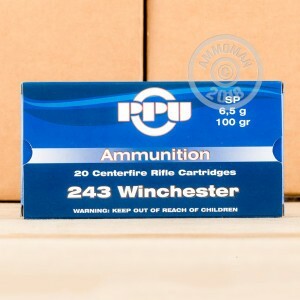 Whether you've got a coyote or a deer in your sights, this cost-effective hunting ammo from Prvi Partizan will get the job done. 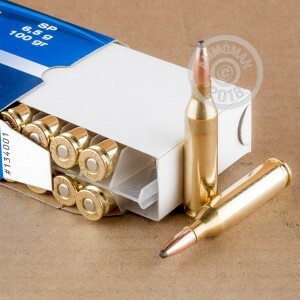 Each cartridge in this box of 20 fires a 100 grain soft point bullet at a high velocity that causes deadly mushrooming for quick, clean kills. Prvi Partizan ammo is loaded in Uzice, Serbia using non-corrosive Boxer primers and brass cases. 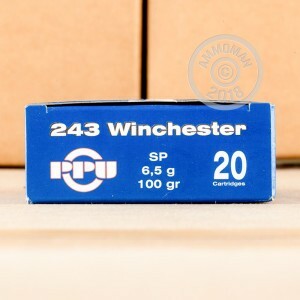 It's one of the best deals in ammunition thanks to its combination of high quality components and relatively low price.